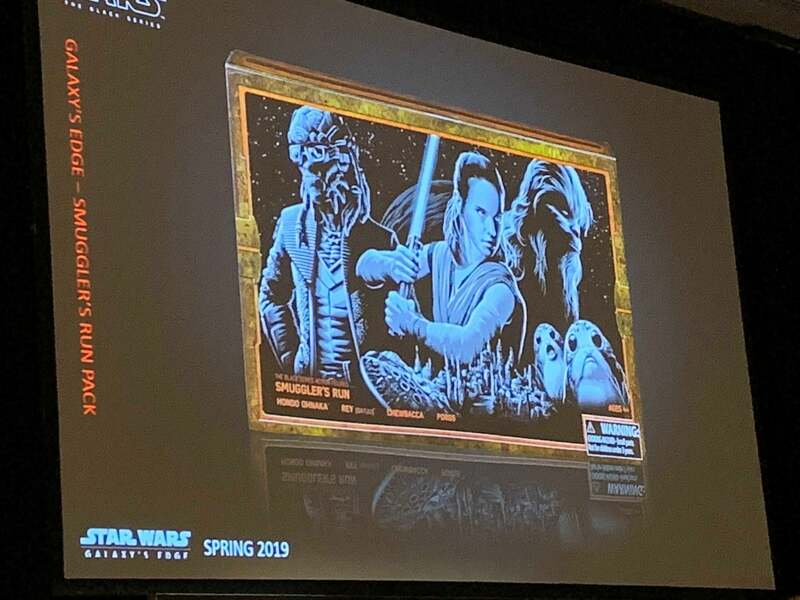 News about a certain galaxy far, far away is continuing to come out of Star Wars Celebration Chicago -- including the first look at some pretty awesome exclusive merchandise. ComicBook.com was on hand during Hasbro's panel at Star Wars Celebration Chicago, where the company teased some of their Star Wars merchandise that will be arriving in the next year. 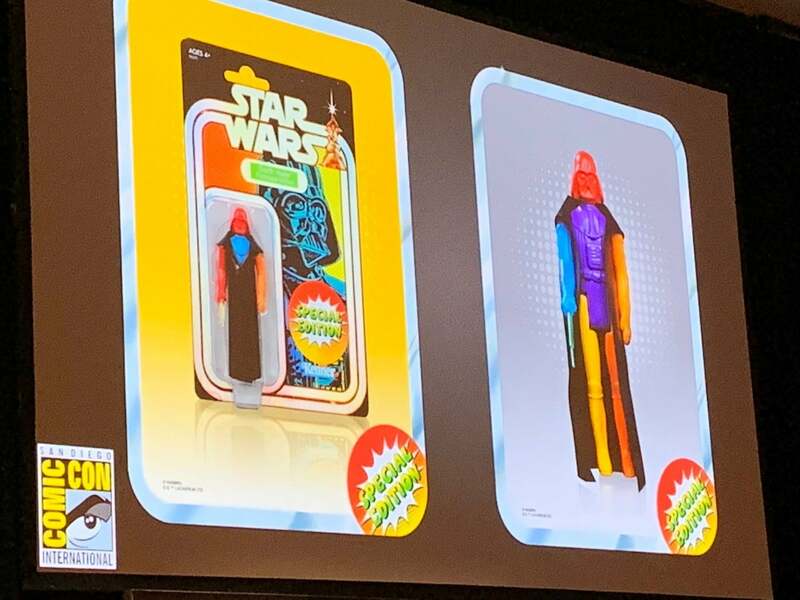 Among those were the company's exclusives for both this year's San Diego Comic-Con, as well as the opening of Disney's Star Wars: Galaxy's Edge theme park. 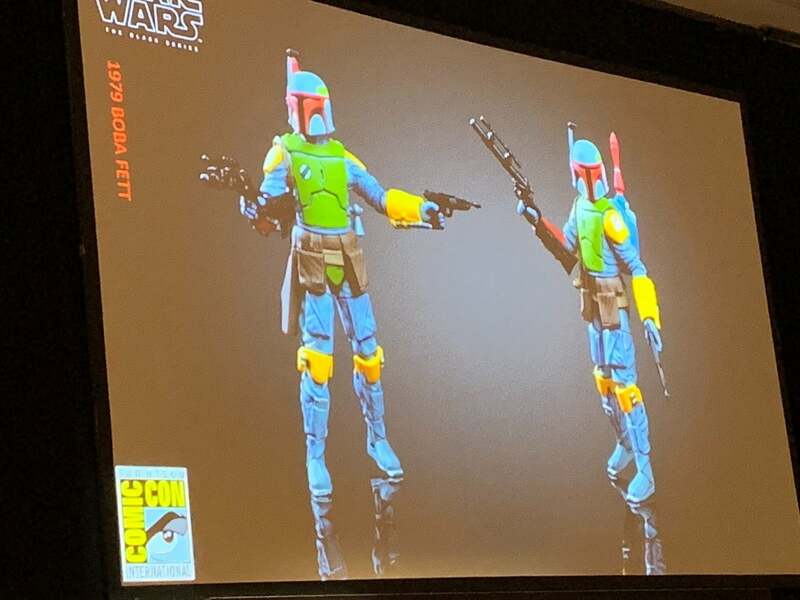 So, what Hasbro exclusives can fans soon get their hands on at SDCC and Galaxy's Edge? Read on to find out. 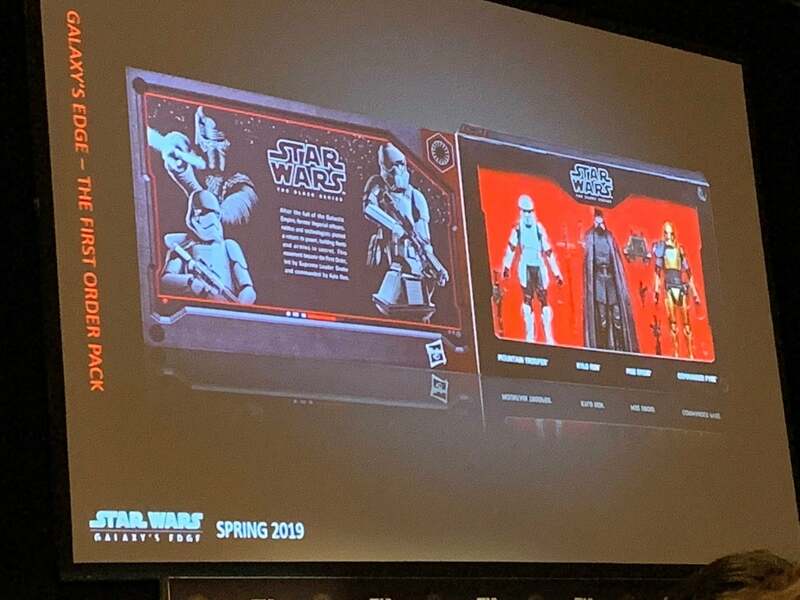 The first Galaxy's Edge exclusive will be a three-pack, featuring Kylo Ren, a mountain trooper, a MSE droid, and Star Wars Resistance's Commander Pyre. 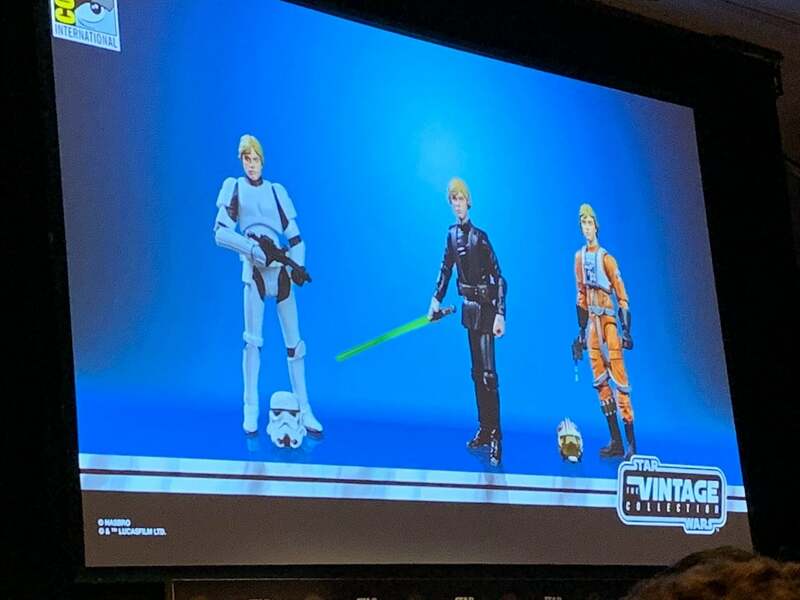 The three-pack will begin to be available in Spring of 2019. 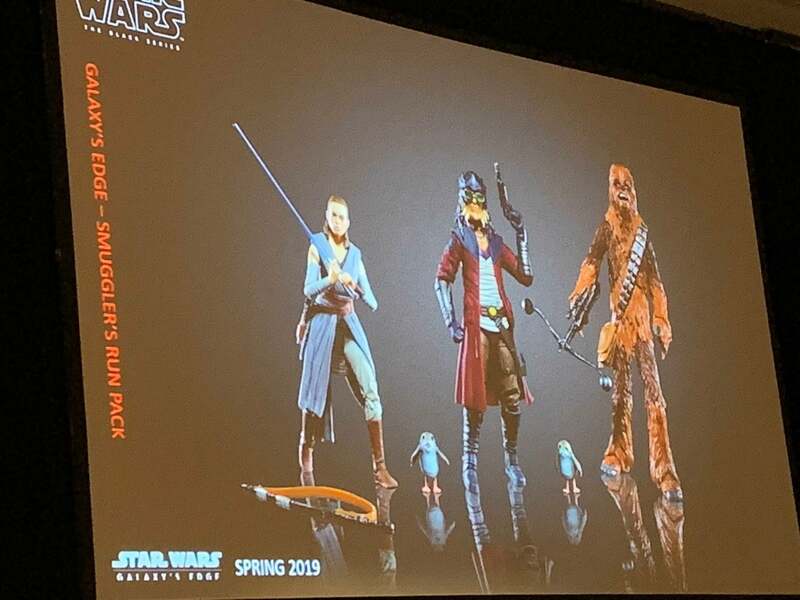 Another Galaxy's Edge exclusive will include Rey, Chewbacca, both a happy and sad Porg, and the fan-favorite Hondo Ohanka. The three-pack will begin to be available in Spring of 2019. 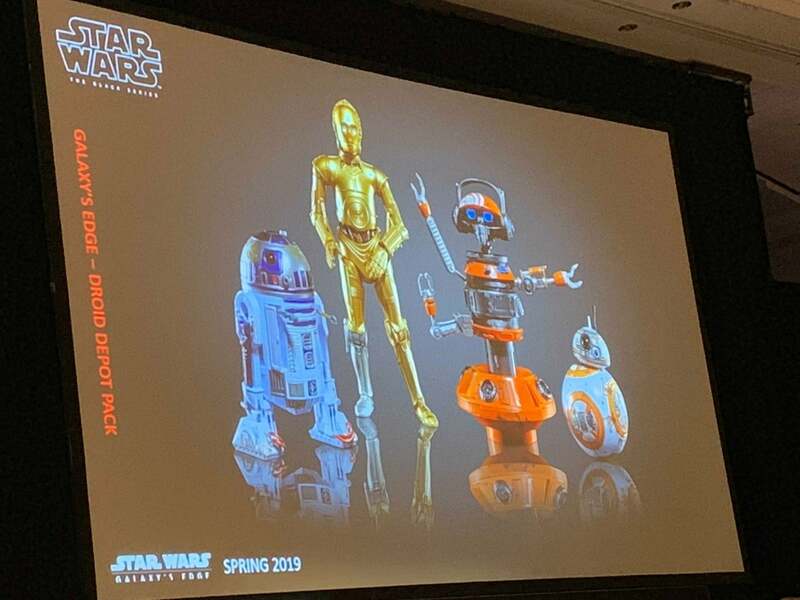 The third Galaxy's Edge exclusive will feature some of the franchise's favorite droids, including C-3PO, R2-D2, BB-8, and everyone's favorite Star Tours droid, DJ R3X. 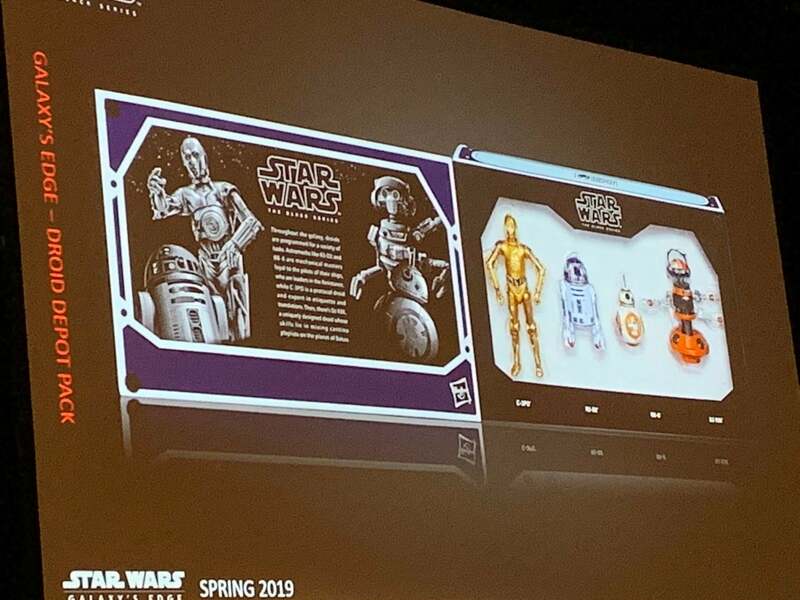 The three-pack will begin to be available in Spring of 2019. 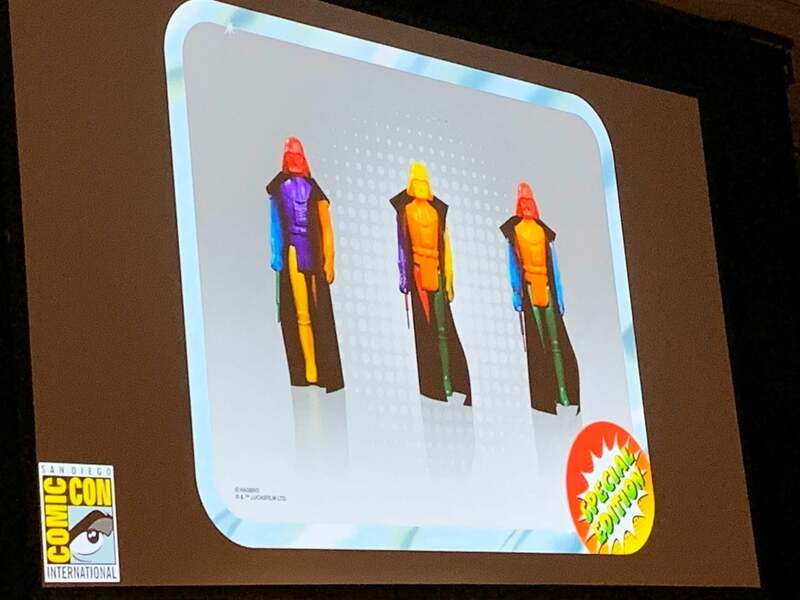 For this summer's San Diego Comic-Con, Hasbro will be bringing some pretty one-of-a-kind exclusives, including a Darth Vader inspired by the multicolored prototypes that the company makes when developing a particular figure. 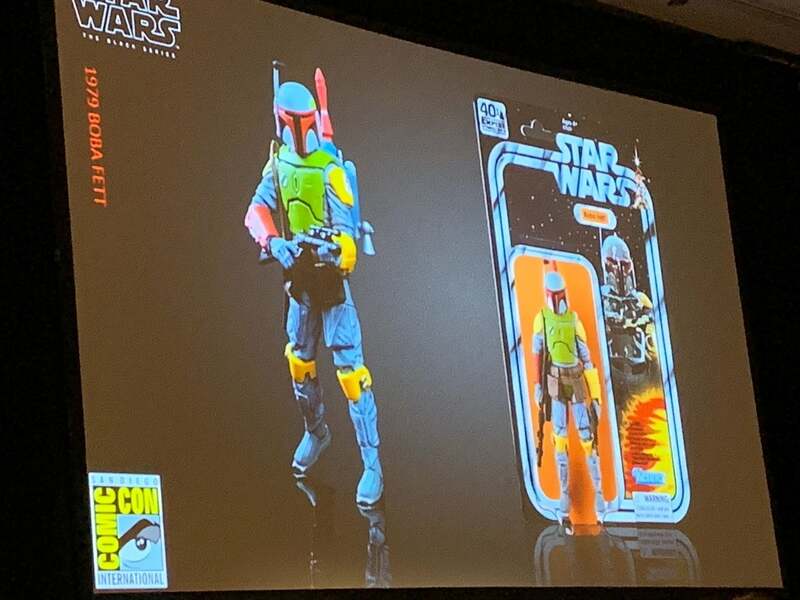 Also among the SDCC exclusives is a vintage-inspired re-release of Boba Fett, in honor of the character's 40th anniversary. 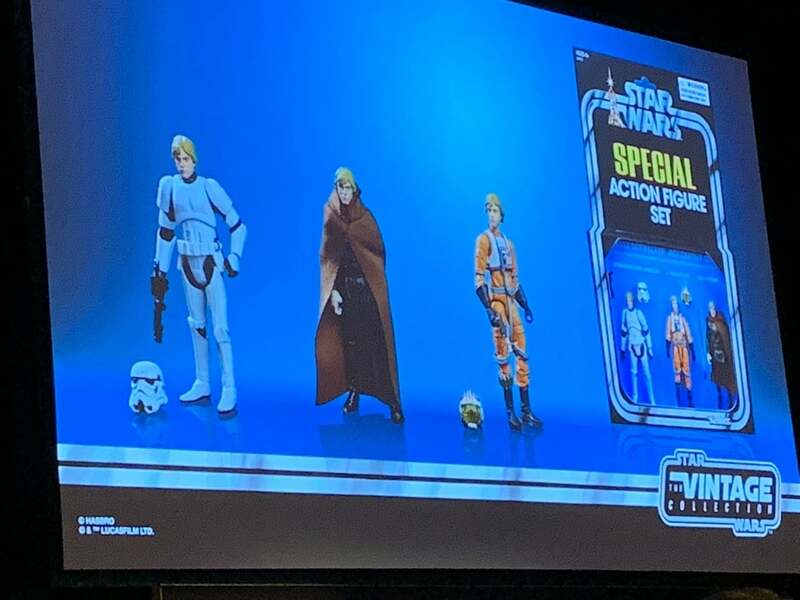 And rounding out the SDCC exclusives is a Luke Skywalker three-pack, which celebrates the character as a stormtrooper, Jedi, and X-Wing pilot. 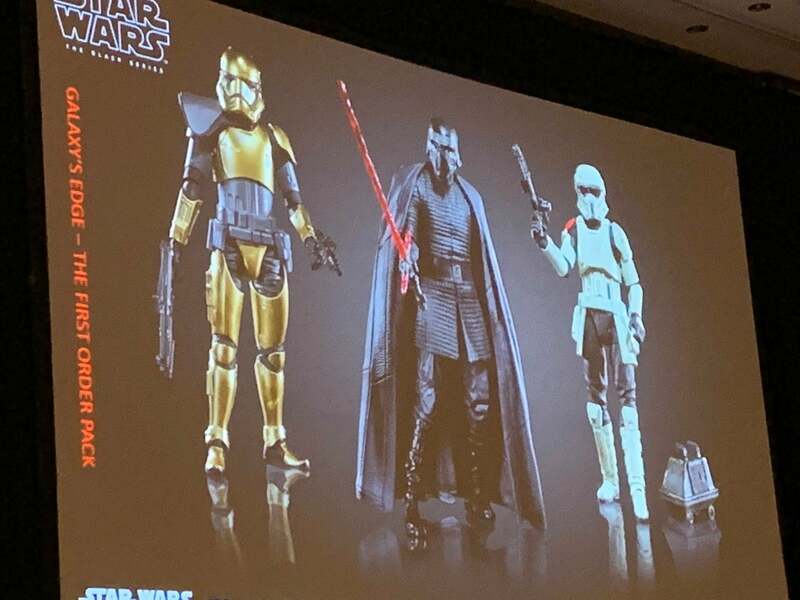 The three-pack will be released in a chrome "Special Action Figure Set" packaging. What do you think of the first look at Hasbro's Galaxy's Edge and SDCC exclusives? Share your thoughts with us in the comments below!